Vitamin A for Acne Prone Skin- A effective way to treat acne! Have you ever thought about trying vitamin supplements for acne, or changing your diet to include more vitamin-rich foods? Vitamin A, which is found in many foods, controls the development of skin cells. It is a antioxidant vitamin, which is proven to help acne because it helps to remove all the excess dirt and bacteria. Buildups of dirt, bacteria, and dust can result in blackheads. Vitamin A also helps your skin produce sebum, which helps fight pimples. It is found in animal products such as liver, in dairy products such as eggs and in fish products, such as fish liver oil.It is also found in two main types of Vitamin A, retinol and carotenoids. Retinol is found in many animal products, most fortified foods, low-fat dairy products, and more. Carotenoids are found in green and yellow vegetables, especially carrots, but it can also be taken as a supplement.In fact, the most popular prescription for Acne and aging skin is topical Retin-A, an acid form of vitamin A. 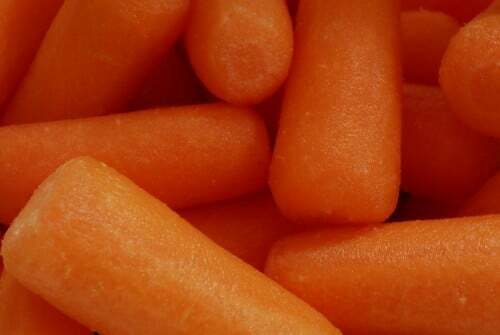 Baby Carrots-They help treat acne! Find many yummy recipes online! What else does Vitamin A help with? It helps with acne, but it has a lot more in store, it aids in bone development, strengthens the immune system, improves night vision, helps reproduction, promotes wound healing and encourages healthy skin. Board-certified Dermatologist, Dr. Perricone,world renowned healthy aging expert, award winning inventor, educator and philanthropist in his Anti-Acne Program, recommends 10,000 IU from carotenoid sources.Excessive intake of vitamin A, however, is toxic – unless you take it in the form of carotenes that the body converts into vitamin A on an as-needed basis. To learn more about Vitamin A for Acne or make a appointment, contact 602-505-3812 or book your appointment online now.